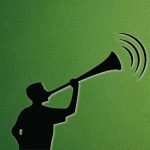 Nigeria is clearly the largest black nation on Earth, with a population of 177 million people, and very rich in cultural heritages that cut across over 250 ethnic tribes and 420 languages. Nigeria is also aware of its rich cultural diversity, and this is marked in the various traditional festivals displayed across various communities and regions in the country. Eyo Festival also referred to as Adamu Orisha festival, is a remarkable carnival that attracts tourists from all over the country. 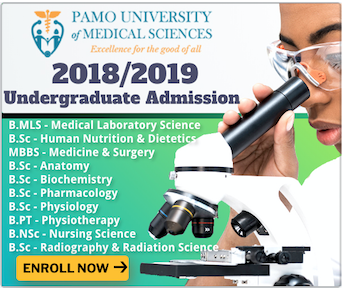 During the festival, all contestants are expected to appear in white clothings, this is a belief that has been been passed from generation to generation. 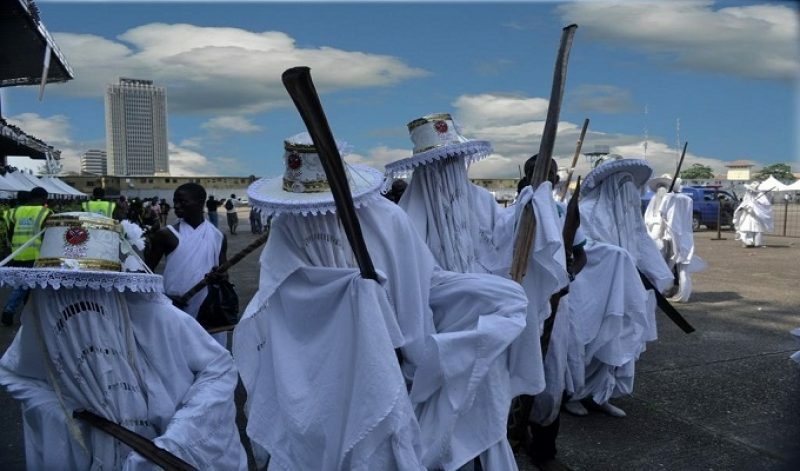 The main attraction of the festival is the Eyo masquerades who perform in white regalia as well, while leading a colourful procession through the city. The Eyo festival is a fabulous celebration that allows you feel the traditional values of the people of Lagos. 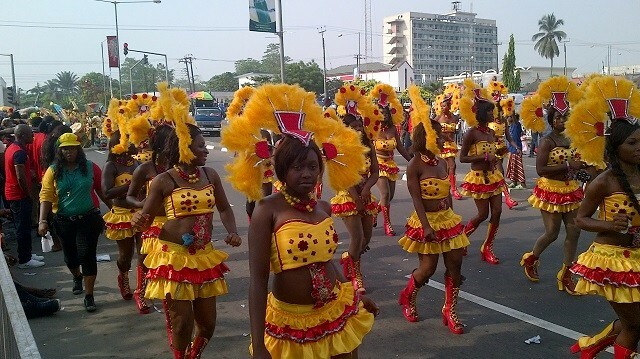 Calabar festival is one of the most colourful procession of all times, where you have dancers performing in street parades. Here you will see thousands of performers wearing colourful costumes and feathered headbands that capture the spirit of the celebrative season. This great festival attracts tourist from all over the world and dignitaries within Nigeria to witness the rich, cultural displays of the Calabar people. Some of these dignitaries include the state governor, federal ministers of Nigeria, amongst others. The Calabar festival usually last for about one week. 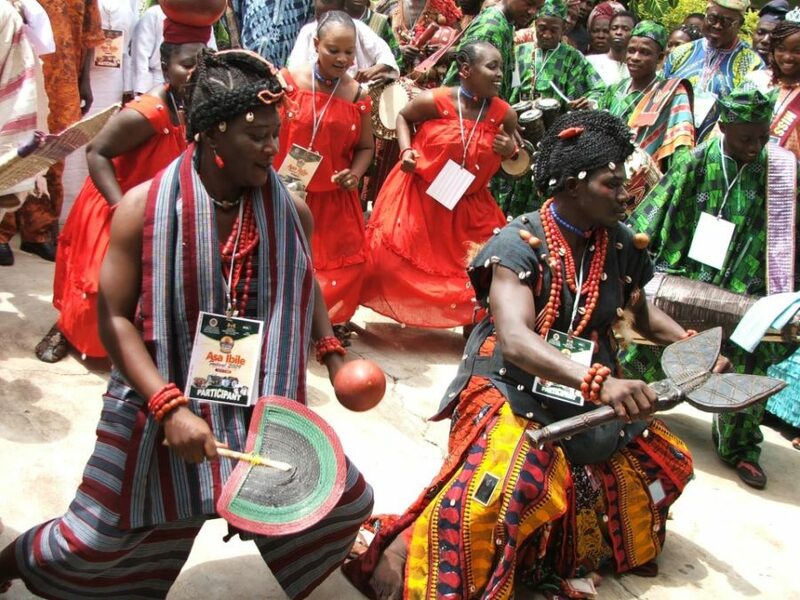 Osun Osogbo festival which takes place annually in Osogbo, is followed by the Olojo festival of Ile-Ife. 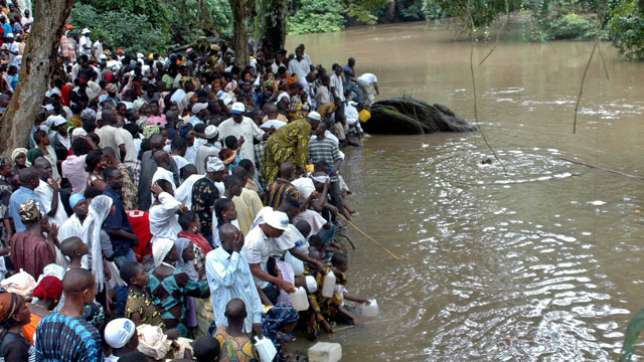 The Osun Osogbo festival is a celebration dedicated to the Osun river goddess. During the celebrations people from all walks of life come together to offer sacrifices to the river goddess and to make supplications. It is a week-long celebration that takes place between July and August in the sacred forest groves of Osun river. The Sango festival is usually celebrated in Oyo town of Oyo State. It is an annual festival dedicated to Sango, the most powerful idol and one of the ancient Alaafin of the Old Oyo Kingdom in early times. The festival showcases Sango worshippers eating and breathing fire from their mouths and nostrils, and invoking thunder to strike across the land in the spirit of the fiery, ancient ruler of the Old Oyo peoples. The Ojude-Oba festival takes place in Ijebu-Ode of Ogun State. It is a cultural activity where the indigenes come home to pay homage to their king, the Awujale of Ijebuland. There is a heavy display of cultural street parades, local song renditions, dane-gun salutes, and a host of other local displays. This festival relates to the ancient variety, legend, history, and conquest of the old Ijebu peoples. This local event takes place during the annual Ileya festival or the Muslim Eid-el-Kabir celebrations. The Ofala festival holds in Anambra State of Nigeria, and it is an annual celebration that sees the Obi of Onitsha and his traditional rulers emerge in full cultural regalia and royal staffs to display bravery, war conquest, affluence, and power among others. It is a celebration that showcases the rich culture of the Igbo people, and an occasion that attracts local indigenes from around the country and beyond to Anambra during the celebrations. 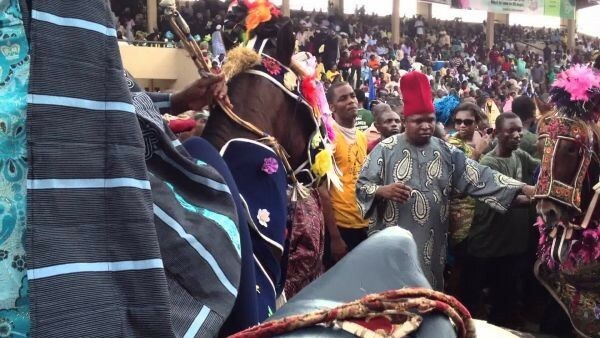 Ofala festival also ascends to other igbo tribes when a new king is being crowned. 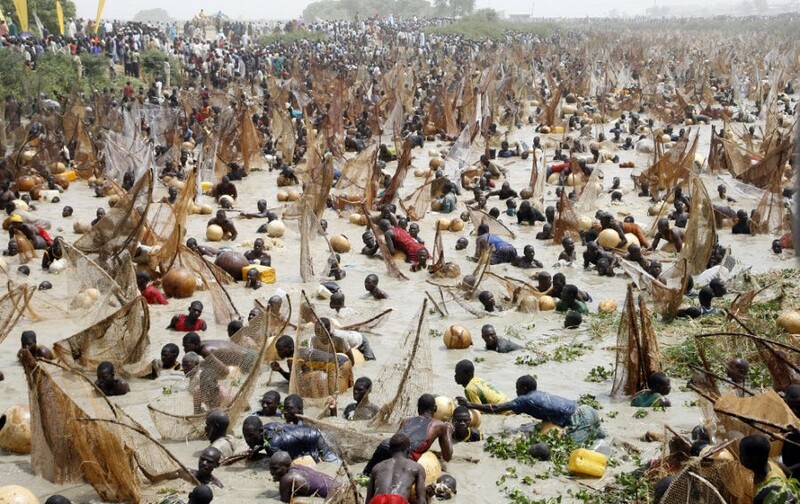 The Argungu fishing festival holds annually in Kebbi State, and is a week-long cultural activity that ends in a fishing competition at the Argungu river where the fisherman that catches the biggest fish of the year is awarded a prize by the town and the state government. During the fishing competition, able-bodied men jump into the river at the given signal, together with their fishing nets to hunt for the largest catch of the year. The biggest fish caught is sometimes weighed on a scale. The New Yam festival is almost celebrated in all parts of Nigeria but given more importance in the eastern part of the country. 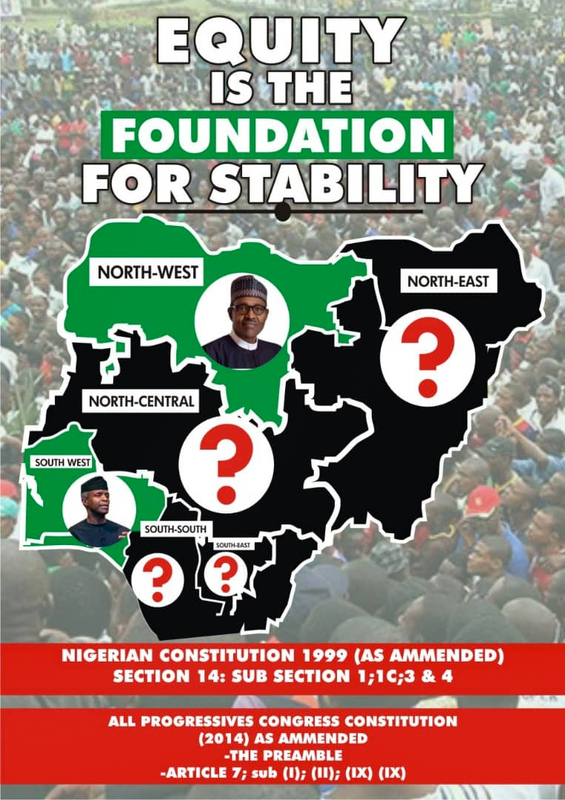 It is a local celebration trend from northern Nigeria through the mid-western states of Benue and Kogi States to Enugu and Cross River States and beyond. 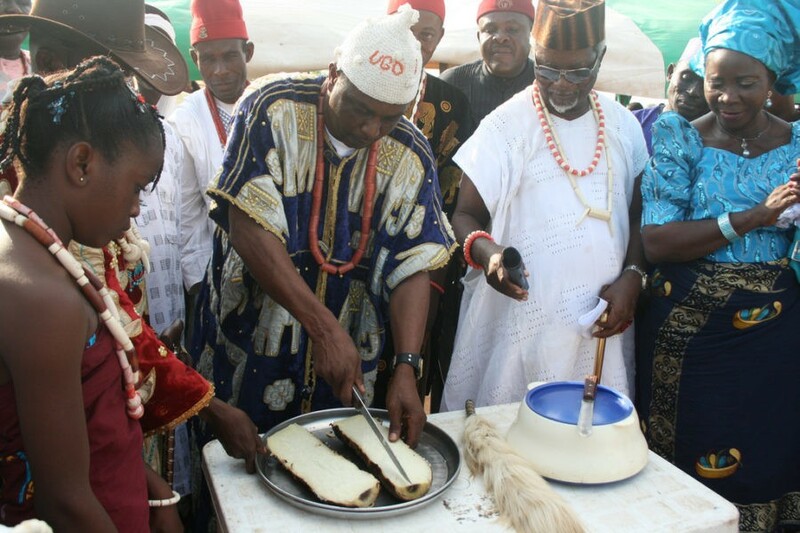 During the New Yam festival, no farmer is allowed to eat any new yam harvests until the appointed day when the king observes the ancient culture of the land and then declares eating the new yam harvests, open to the people. There are cultural dances and masquerade performances during the festival of the new yam. The Durbar festival is largely celebrated in Maiduguri, Kano, Zaria, and Katsina in northern Nigeria. 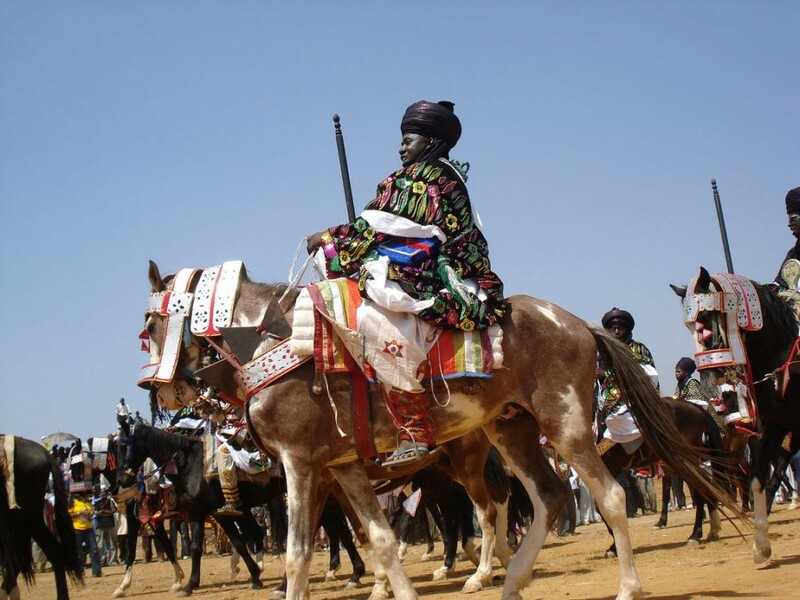 It is the most expressive and popular festival in northern Nigeria. It features horse rides and racing. The festival is usually attended by the Emirs and their council of chiefs, and is usually a week-long activity that mostly holds toward the end of the month of Ramadan.